It recently came to light that the Clarke County Sheriff’s Department is complying with ICE Detainers (sometimes called ICE Holds) and assisting ICE (Immigration & Customs Enforcement) to deport undocumented residents that are brought into the Clarke County Jail. This is a reversal of the policy that had been in place for the last 3 years. The legality of ICE Detainers has been successfully challenged many times. The Clarke County Sheriff’s Department seems to have chosen this change in response to the Georgia Sheriff’s Association and Homeland Security releasing new interpretations of the law. The policy revisions don’t change a few important points on ICE Detainers though; they are NOT judicial warrants since no judge signs them and they are still only “requests”. Complying with ICE Detainers comes with great costs. The Clarke County Sheriff’s Department become complicit in the destruction of people’s lives and families by through deportation. It puts our County at risk of lawsuit due to violating the constitutional rights of residents since these are not actual warrants signed by a judge. Also taxpayers must pay the thousands of dollars it costs to hold a person in jail for longer than necessary. And ultimately it creates distrust of law enforcement officials; making it difficult for them to serve and protect our communities. 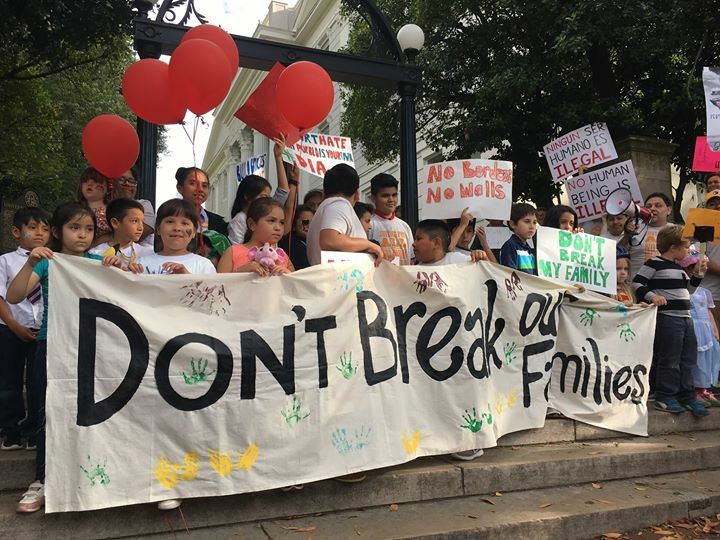 Tim and other organizers from Athens Immigrant Rights Coalition, Dignidade Inmigrante, and Athens for Everyone are working together in hopes to convince the Sheriff’s Department to cease complying with the ICE Detainers. Tim stands with the Athens Immigrant Rights Coalition, Dignidad Inmigrante, and Athens for Everyone in calling for the Clarke County Sheriff’s Department to end their compliance with ICE Detainers. Please, take action today!